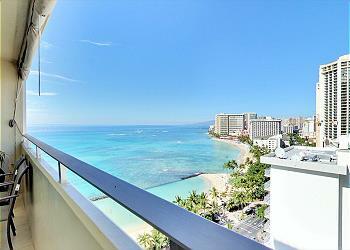 Foster Tower is located steps away from the beautiful Waikiki beach. 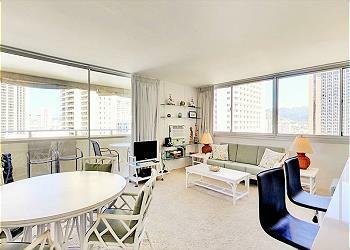 A high-floor one bed room unit in highly desirable building and location. Enjoy beautiful ocean views and immediate access to beach for surfing, swimming, snorkeling, hundreds of restaurants, and the zoo, and aquarium within walking distances. Foster Tower’s location is hard to be beat.